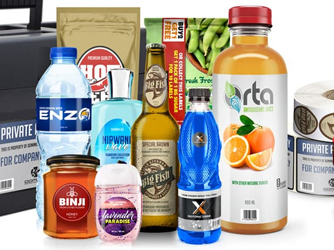 Our full digital equipment allows short run roll label manufacturing of the highest quality and impressive turn around at great pricing. Limitless substrate compatibility, white ink allowing printing on clear and silver films. No film output or plates, no dot gain, trapping or distortion issues, no press make-ready. We know our success is based on yours! Call 714.542.4600 or email us at info@mobiusprint.com to receive a custom quote.